Submitted by: Hello! I am Ashley from Edinburgh but currently living in Dubai. 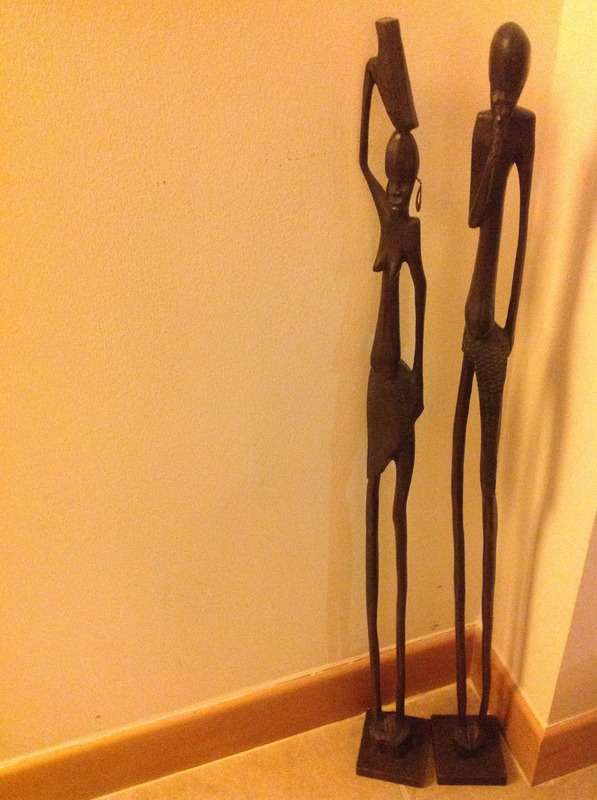 Item: These are my African husband and wife statues, purchased in Pletenburg Bay in South Africa as part of my boyfriend and I’s attempt to purchase something fun and interesting from each place we travel. When traveling round SA you see a lot of the same sort of stuff but these were only spotted once so had to be purchased, fell in love with her bling!Why should this item be in a museum: Think they should be in the museum because I have been meaning to post for a while but was rather intimidated but the age and interesting stories behind the other items. However I feel these two have their own tale, I might not know what it is but I am sure it is a very interesting story too.